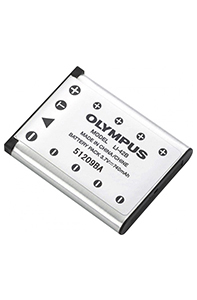 The Lithium ion rechargeable battery is suitable for quick recharging with the exclusive Olympus Lithium ion battery charger LI 40C or LI 41C. The extremely compact and ultra slim design of the LI 42B rechargeable Li Ion battery makes storage and transportation very convenient. With a capacity of 740mAh, the new Li Ion battery allows hundreds of images to be shot before the battery needs to be recharged.